My favorite find this weekend wasn't a piece of furniture, frame, bottle, etc. 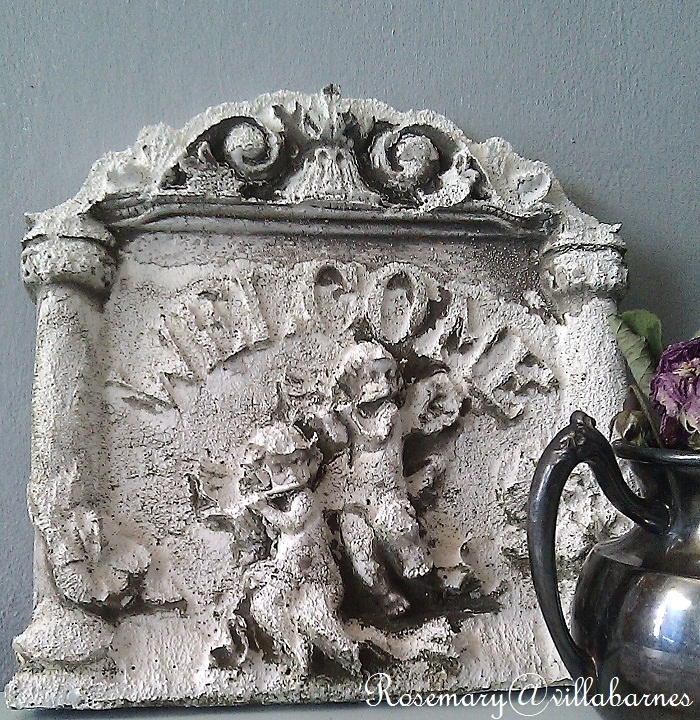 It was this weathered welcome plaque with cherubs. I'm not going to do a thing to it. It was 50 cents, and I love it just the way it is. I do however have other finds to work on. See ya soon. So pretty! I love the cherubs! WOW what a find and for $.50 ... GOOD job!!!!! I like it too. It's just your style, I wouldn't change a thing either. Looks great and I thought it was your special treatment. You could always make a mold of it and then create more from that mold out of plaster. Just to cute to be only one of them. Super cute! Don't you love when you don't have to do anything to something you get? Now that's good luck, it's perfect and the price couldn't have been better. It appears as if it has been given the gesso already. Sometimes it is the fifty cent pieces I find that I like the best. what a steal!! so sweet! That plaque is perfect! I love it, too. The plaque is amazing just the way it is. What a bargain too. Wow. You're right. It's perfect just the way it is. What a great find. Sometimes the least expensive can be a treasure. Perfect price, great find! Lucky You! Rosemary, what a find! And only 50 cents? Wow! It's just gorgeous and you know how much I love cherubs! Just perfect the way it is, like you said. Perfect aging and color! Have fun with your other projects! I really like it, too, Rosemary (as is). Great find! Fantastic find! And for 50 cents? Wow. That's a no brainer. Good for you! Great find! Sometimes the HARDEST thing for me is to leave something as it is -- great choice to do that with this. Great find and to think it was only .50. Somethings don't need "fixin' up" and look perfect just the way they are. I agree. Keep it just the way it is. 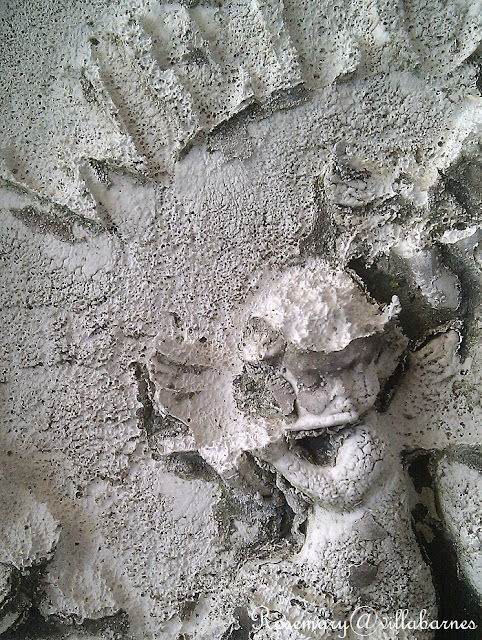 You know I love cherubs! Sometimes leaving our finds alone is perfection! A very welcoming find Rosemary. Looks awesome as is. I love the outdoor pots that I saw on the post featuring you - No Minimalist Here. Are those available for purchase? 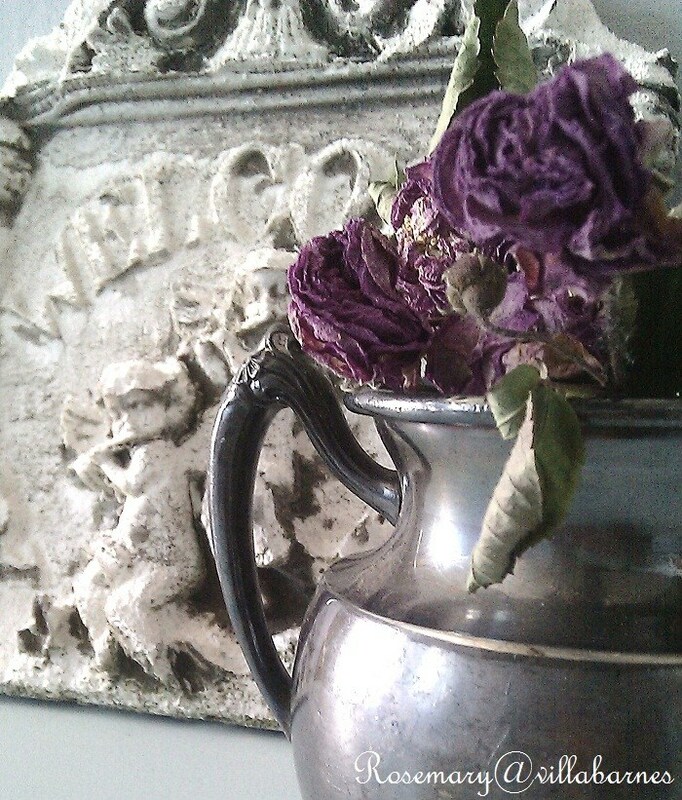 There were cherubs on the front. Fingers crossed. Great find at only 50 cents. Sometimes it's nice to get a break from projects. Glad you were able to use it as is. That is one super great find. Beautiful find and the price was just right! It is always the best treat when you find great treasures! Hope you are having a beautiful week!! That darling piece just might be the bargain of the year. What a wonderful treasure.